A St.Augustine Record editorial of a few days ago congratulated the city of St.Augustine for coming up with guidelines regarding the acceptance of art gifts (primarily monuments and sculpture) to the city for placement on public property. "The new rules say that if the city is offered a donation of art in any form and decides to accept it, the city gets all rights of ownership, reproduction, maintenance, storage and even its possible sale. The city also will determine a site and a time for its location. " Mr.City Attorney....your research is wanting here. The recent Frederick Hart culpture donation certainly does not give the city the donor, nor the dealer the right to reproduce another in similar or smaller versions.The artist's widow Lindy Hart can confirm this for you. There will be a number of similar castings of his sculptures as the next seventy years pass. This is the copyright of the artists estate. No artist of stature will give the reproduction rights simply because someone bought one of the editions. An artist has nothing but his output and images. 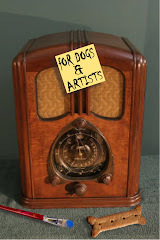 You will perhaps find lesser known regional and local artists willing to agree to such a proposition but they are giving up a considerable right that should belong to the artist. You wanna pay for this, that's another story. Since the city has permitted the copyright of the mosaic at the Visitor Information Center to remain with the artist (The Cultural Council president's spouse) perhaps you should revisit that contract. There is planned a monument/ sculpture dedicated to the "Foot Soldiers" of the 60's Civil Rights movement here in town. It is to be installed appropriately in the Plaza where there were demonstrations and counter demonstrations The sculpture's cost is being borne by a grassroots effort in the community.No city monies are involved. If the artist Owens wishes to assign his rights, it should be to the organisation that paid for the monument. The city is insisting (if our information is correct) on something for nothing. Take your guidelines and do some more work with respect to the artist and make it consistent.The paper's editorial said"The new art acceptance policy speaks volumes for the City Commission's support of our arts and cultural community" Yes, it does. Don't know the illustrator /cartoonist/artist R.Crumb? You are not a "baby boomer" that's for certain. Here is a treat.....he will provide the music for his 12 panel artwork entitled "A Short History of America"
"This is not public property........This is City property!" St.Augustine Police officer referring to the Plaza as he is arresting an artist. "I love you anyway", City police Sargent Michaux in response to artist Scott Raimondo's rude verbal fit telling the officer to get away from him. We don't wannabe Federal employees! Stop bringing this up over and over! City Commissioner Jones responding to citizen Ed Slavin's suggestion that St.Augustine be part of the National Seashore. I think that he started to use the "F" word but it came out like, "FUuuuuu" Attendee at recent Commission meeting where Commissioner Jones loses it over National Seashore suggestion. 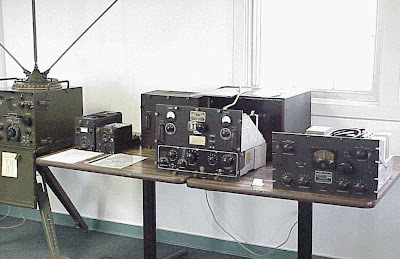 Jones then leaves the room. "Selling counterfeit designer handbags in the Plaza is not illegal" Officer Barbara Clifford's response when a complaint is made. Hey! ...I went to Catholic Boys School....what the hell have you heard?! 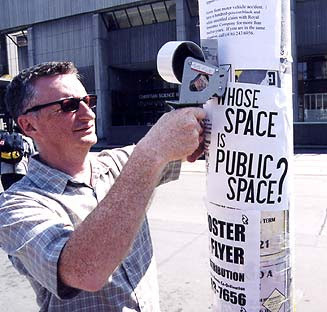 Public space battles across the country are heating up.Citizens are becoming aware that "behind their back",the whole philosophy of "public" is being mutated into a loss for us and a private revenue stream for the so called public servants. Fortunately, we have Federal judges who understand the spirit of our "Bill of Rights"
01/15/09 Judge Xavier Rodriguez has recused himself from hearing the suit filed against the City of San Antonio Ordinance #1193. Judge Fred Biery has been assigned to the case. A new date for the case is pending. 07/01/08 The City of San Antonio and SAPD created the Standard Operating Procedures for Marches and Parades, and has filed to lift the Injuction granted by Judge Rodriguez! The operating procedures continue to give SAPD complete discretion over who can march and continues to charge us for our Free Speech!! 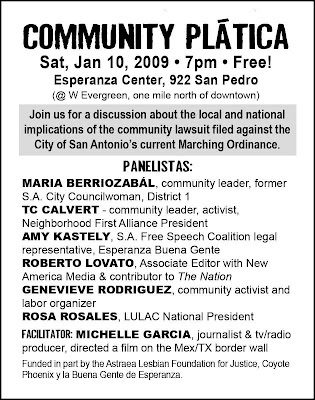 03/17/08 Judge Xavier Rodriguez Finds San Antonio's Parade Ordinance Unconstitutional in Several Respects and Grants Most of our Request for Preliminary Injunction!! There is more to our fight for artist's first amendment rights here in the nations oldest public space than meets the eye. 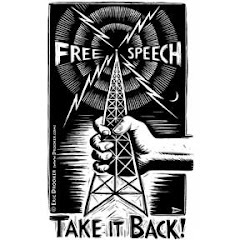 Too often, corporate greed, privileged access and, in some cases, outright privatization have squeezed out individual freedom of expression and political action. We must protect these fundamental rights. At a recent City Commission meeting, City Attorney Brown submitted a draft proposal for establishing guidelines for acceptance of public art donations. He referenced a city hall installation a few months ago of a bronze sculpture fragment from Frederick Hart's"Ex Nihlio".This was a donation to the city. It was accepted and a private party was held upon it's unveiling. It has been years since a citizen or group has donated artwork to the city (The Lions, the flagpole, The Ponce statue etc) and the city attorney felt that there should be some guidelines for acceptance. Who would not agree with this? 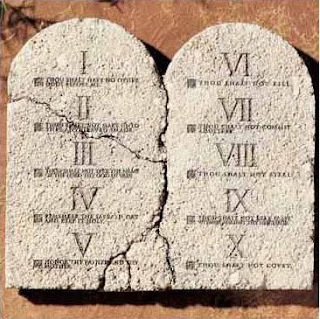 The United States Supreme Court has on it's docket a case out of Utah where a religious group that operates from a pyramid wants to place what it calls the Seven Aphorisms in a city park, contending that the words are lesser-known instructions that Moses received from God. In this same park the city accepted a Ten Commandments monument from the Fraternal Order of Eagles in 1971. Now, the decision must be made,....... should we allow all faiths, creeds and philosophies access for monuments on public property? Should we remove earlier monuments that may have violated our church/state separation. I for one, resent the Confederate Monument in our Plaza. Soon (hopefully)we will have a civil rights monument offsetting the belief that slavery is a natural order. 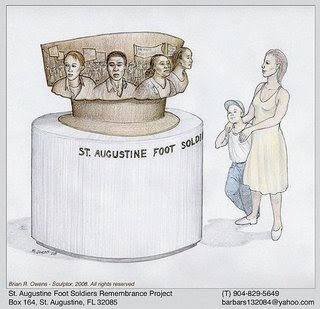 The Supreme Court decision is important to the future of St.Augustine's possible Public Art donation guidelines. Hart's "Ex Nihilo" on the facade of Washington's National Cathedral, can be persuasively argued as a paean to biblical "Creationism". Some may now be looking for an artist to execute a bronze ape grooming himself next to the city hall koi pond,depending upon the Supreme Court decision. 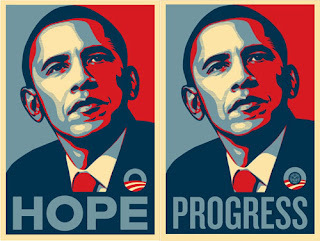 The emergence of a California "street artist's" work of President -elect Obama reminds us of the power of mass media. 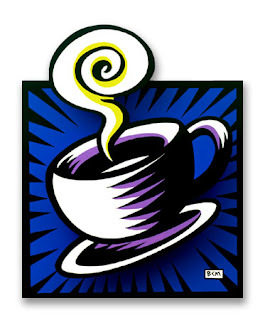 Back in the early nineties (1991 gallon of gas $1.19) the set decorator for a new television sitcom called "Friends" hung on the set wall, a silkscreen of a coffee cup by Burton Morris. That's all he needed to have his whimsical retro pop workin demand by collectors from all over. 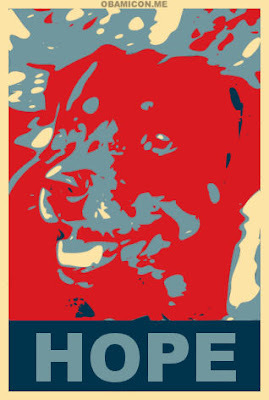 This is holding true even more so for Shepard Fairey's iconic print of Barak Obama. Some say that Fairey is a plagiarist "turning street art into a cheap hustle that is no different from corporate advertising"
After the city approved the hiring of consultant Jeanne Zeidler , executive director of Virginia's Jamestown's 400th anniversary Joe Boles is quoted as saying "We don't have to reinvent the wheel, and we can hit the ground running." "Reinvent the wheel" is a popular expression used by the City Commissioners over 27 times in the year 2008 with Mayor Boles as the leader with nine usages. In over half of the mayor's use, Commissioner Erroll Jones parroted the expression by the time the meeting ended. We think that it was a nice touch for Mayor Boles to join two cliche's together with the "hit the ground running" thing. "I'm hoping that the Commission in 2008 starts thinking outside the box, and frankly will push the envelope, developing a complete paradigm shift.We have a wonderful city and the city leaders can take it to the next level and not be drinking the Kool ade of the naysayers. Let's not look back one day and say that we took the genie out of the bottle and threw him under the bus. No , I say , instead of blue sky thinking we've got to do whatever it takes when the rubber meets the road. So let's take the lipstick off the pig and be careful not to screw the pooch. GO GATORS!" 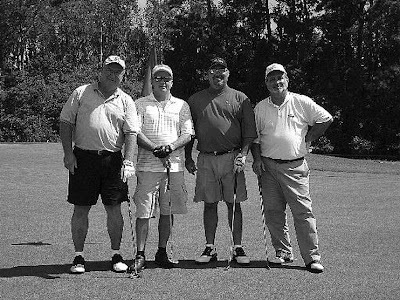 City Manager Bill Harriss (left) and city commissioner Donald Crichlow (right)share a round of golf with two downtown businessmen/ landlords. Just a reminder, if charges are warranted for those folks violating City ordinances in the downtown area such as Scott Raimondo & GregTravous,and others,and have been previously cited or charged , they do not get a free pass. They go directly to jail. Today's news has a story that the a cooperative in Columbia is to file a 20 million dollar lawsuit against Mother Goose and Grimm's Mike Peters for defaming the country's coffee product and it's growers. Recently , here in St. Augustine syndicated cartoonist Ed Hall was furloughed from his job arguably as a result of a recent editorial cartoon criticizing educational budget cuts. The St. John's County superintendant is the touchy sort who feels that St. Augustine Florida is the center of the universe. 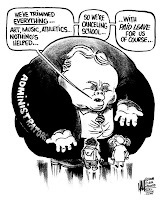 He took offense at the idea that the nation's schools are suffering tremendous budget cuts while administration is bloated and teachers must sometimes dip into their own pockets for needed supplies. Somehow self anointed cultural nabob Phil McDaniel of the Cultural Council stepped to the plate with an editorial criticizing Hall's cartoon. This is fine.....this is America........provocative discussion is healthy and should be welcome. The local school superintendent voiced his displeasure with the cartoon. Hall is now out of a job...suspended (or something like that) Look, no one said that a privately owned newspaper must practice free speech but it surely should defend it. The comments by McDaniel should carry no more weight than any other citizen but he has shown himself as a champion of the status quo...he knows where the donors to his so called" Cultural Council" are and has a knack of kowtowing to wherever their plebeian whims take them. 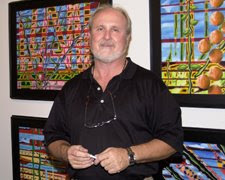 The artists of Art in The Market had asked McDaniel to serve as a mediator in the "street art" controversy here in town. He has not responded and frankly we didn't expect him to as we have found he has no more administrative experience in the arts than the average citizen. Ok, we will grant that sending your kids to an Arts school in Jacksonville might make a resume, but that's pretty much it for "arts experience". Oh yeah, he plays guitar and likes to surf. McDaniel........You cost an artist his job. In your editorial you used the term"defamation". You have in the past used the words "libel" and "slander" toward those that disagree with you. Drop the defensiveness . Frankly this statement to Hall completely baffles us ,"It's ironic that you would have used your artistic skills in defamation of the very subject that is one(of) the most valued in our school district." YOUR TAX DOLLARS AT WORK - ARTISTS GONE ! Last week the local news paper here, "The St. Augustine Record" reported that recently almost 20,000 dollars had been paid to hired counsel Michael Kahn of Melbourne to prosecute artist Suvo on a single charge of "offering for sale" artwork on St. George Street. Each side gave oral arguments of one half hour before Judge Wendy Berger. Contrary to previous Federal precedents he was found guilty and the fine of 165 dollars remained. Mr. Kahn submitted his bill and was paid 19, 700 dollars from your tax dollars! This was for prosecution of one city code infraction. Suvo has perhaps a dozen more scheduled for trial along with seven other artists. On New Years Eve two Art In The Market artists, Scott Raimondo and Dean Quigley were jailed for "offering for sale" artworks in the Plaza De La Constitucion. 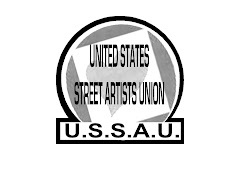 Undercover officers being paid overtime were used to solicit a price quote from each artist. These two desperate criminals were handcuffed and taken to the St. John's County jail and finally bonded out just moments before midnight, ringing in the New Year, 2009. According to S.A.P.D. Commander Fricke, the city is "stepping up enforcement" by not only continue issuing 100 dollar citations but will now "take the artists directly to jail" before trial for "violating" ordinance 22-6. Meanwhile, the city permits musicians with tip jars and sellers of counterfeit designer purses to operate without hassle. Clearly this is directed solely at visual artists . 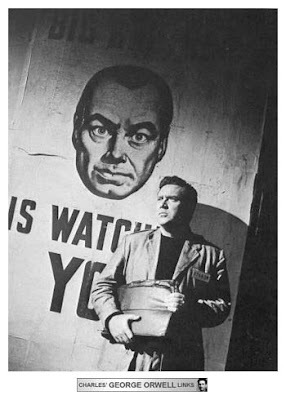 City Manager Mr. William ("Art is Foo Foo") Harris and his landlord cronies feel that they are above the law and can use taxpayer funds to harass the artists to "protect" their interests, particularly in the case of Len Cutter who owns four art galleries surrounding the Plaza. He must feel that as an important man in this community he can dictate what takes place in "HIS" front yard, the Plaza De La Constitucion.........the nations oldest public space as stated on a sign near St. George Street. 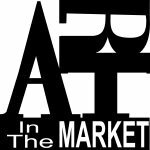 So, as of New Year's Day 2009, after almost 450 years, you no longer have the ability or right to acquire artwork from the artist vendors of St. Augustine. Big Brother has won......................so far. The First Amendment does not exist in St. Augustine. Thank the artists for a good fight but we have drained our resources and will , fighting for our (and yours) natural rights. This community should be ashamed, permitting this behaviour by unscrupulous city officials.